By qualification, profession(s) and practice, I am an engineer. My love for airplanes made me study everything technical about aviation, and hence the name, The Flying Engineer. I did get to practice a lot of it, and filed two US patents with a North American aerospace major before starting off on my own. I never really liked studying airlines. Running an airline was something totally different from airplanes and technology. An airline with one aircraft could be profitable, and another airline with the same aircraft could be loss making. Unlike aircraft, an airline isn’t exact science. It’s a mix of forecasting science, luck, lots of funding, experimentation, government regulations, competition, glamour, God, and what not. It’s not exact, and can never be. I was, and largely still am allergic to things I cannot mathematically or logically explain. Then came a transformation at SpiceJet. Suddenly, an ailing airline with tonnes of data had a new head. On November 1st, Sanjiv Kapoor boarded SpiceJet as COO. He pushed SpiceJet into an operation theatre and brought in surgeons like Kaneswaran Avili. It gave an opportunity to study an airline turnaround. Sanjiv and his team spewed data. Now data is interesting, and more dependable than “we will do it”, “we can do it”, and “we did it”. Sanjiv talked of the “how” of things. That was a turning point in my interests. He released a good amount of data on the airline’s performance. The airline even released fairly detailed reports (with lots of graphs). His western thinking gave food for thought and ‘growth’ to all those who sat, saw, heard, and reflected. His addiction on Twitter had nothing to do with selfies, or what he did. It was never about him. It was all about the airline : what the airline did, and how the airline did. He even took customer issues into his hands and resolved matters through his team. He is a man of “we”, not “I”. For once, there was an Indian airline head who was active on social media, and spoke numbers. Now numbers for some of us give us kicks. His maturity, experience, and his emphasis on data was sufficient for me to believe that there are some who don’t hip shoot in the industry. Yet, not always was I in agreement with everything that was done, nor everything that was tweeted. Following the developments at SpiceJet was my education about the industry. I am far from perfect, but I was lucky to have been guided, by circumstances and people. And thankful to SpiceJet for having conducted classes on airline economics for many of us. Lectured by Prof. Sanjiv, ofcourse. I have consulted, briefly, for a few airlines, and had a chance to interview many airline heads. You’ll be surprised how very few heads are data and research driven, and even fewer process driven. IndiGo is largely data and process driven. They made sure it was in their blood from day one. Sanjiv, to the best of my very limited knowledge, attempted such a culture at SpiceJet. He also opened up channels of communication at the airline, bringing in more transparency and clarity. His largely full service airline experience made him focus significantly on customer service. Under him, SpiceJet transformed into an airline that was neither machine-cold nor ‘hot and spicy’ – SpiceJet became perhaps the warmest airline in the country. Towards mid 2014, one of the airplanes was stickered with the faces of six of the airline’s crew, becoming the first airline in India to fly the faces of its employees. The aircraft had SpiceJet’s tagline, “With all our heart”. In the last week of August 2015, the aircraft was stripped off its livery. Spicejet, many months earlier, had been re-branded as ‘Hot and Spicy’. During his period, scientifically planned flash sales driven by Kaneswaran and Fares Kilpady helped sell seats that would have otherwise flown empty. It is a concept yet to be understood by many. Today, such sales have become an Indian industry norm. I was definitely not the only one who learnt from SpiceJet. The sales served two purposes – driving up unit revenues, and boosting cash flows. SpiceJet survived longer than it otherwise would have, had it not been for those sales. Salaries never stopped. Not everyone though could appreciate what Sanjiv and his team did. At the end of the day, performance is real, and evaluation subjective. From April 26th, 2015, Sanjiv’s Twitter handle ceased being “@SKapoorSpiceJet”. That one Twitter handle was revolutionary, educative and proactive. Exactly six months later, today, news broke of him stepping down. Thank you Sanjiv, and thank you, SpiceJet, for the turnaround and the education. It fuelled my hunger for math, numbers, equations, and logical reasoning. Your troubles educated us. Indian aviation will miss you and your team. One interview – just one – of Tony (Economic Times, ‘So IndiGo, FIA want to fight? We fight! : Tony Fernandes, AirAsia chief’- Anirban Chowdhury) set Twitter on fire, with Sanjiv Kapoor (COO, SpiceJet) reacting, and Vijay Gopalan (CFO, AirAsia India) counter-reacting. This is not about the gossip, but to make sense of the nonsense. First, for Tony to say that he doesn’t understand ‘SpiceJet’s logic or strategy’, and that ‘the fares are unsustainable’ is a surprise. 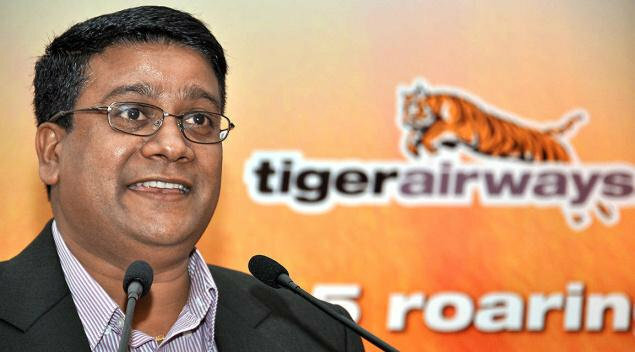 The man behind these low fares is Kaneswaran Avili, who was with AirAsia since its inception, and has also been involved with the group’s Tune Hotels and Tune Money. Kanesh drove the discounts and promo ‘sales’ at SpiceJet, and his logic is no different from AirAsia’s, but perhaps, tailored to suit to the needs of the Indian environment – and particularly SpiceJet. Despite repeated attempts by SpiceJet to make the industry understand the too-easy-to-not-understand logic of their low fare strategy, people seem to not comprehend it. 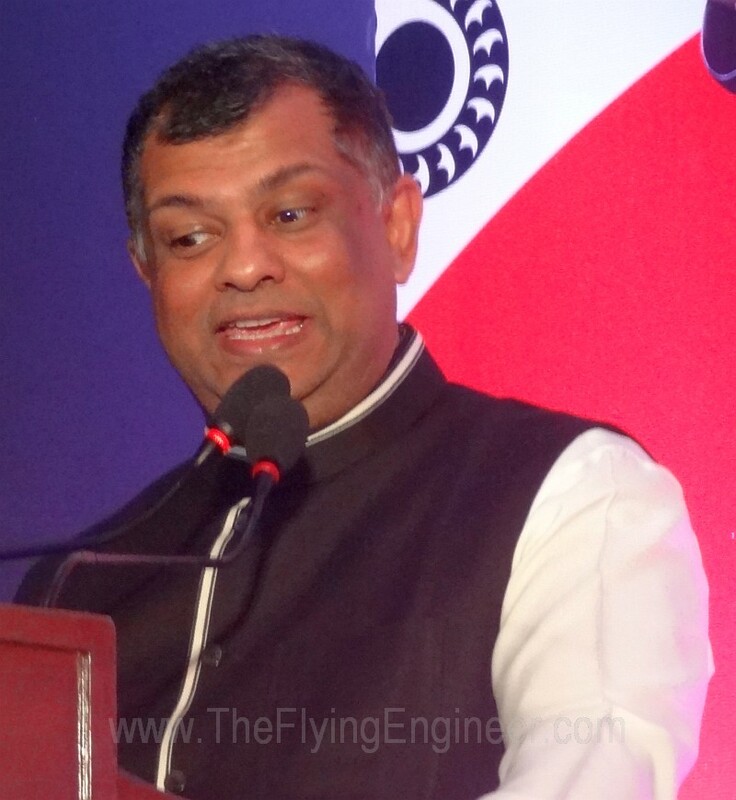 Even more surprising is the fact that AirAsia India, which claimed to sustain with the all inclusive INR 990 fares (AirAsia India CEO Mittu told TFE on June 12th: ” 990 fare for us is something that we think is sustainable”), finds SpiceJet’s ‘sale’ airfares, which are priced on average around INR 2,000, ridiculous. Or that’s what Tony thinks. Below is a snapshot of AirAsia’s low fares – far lower than SpiceJet’s. SpiceJet’s fares are almost always higher than AirAsia’s, for the same sector. SpiceJet’s strategy is simple : determine those seats that will fly empty, and sell those seats at fares that more than cover the costs associated with transporting that discounted passenger. The result? The average yields for SpiceJet may have diluted, but the airline now records a higher – much high revenue per available seat kilometer (RASK). Which only means that on average, the airline realizes a larger revenue per flight, than it used to without these promotions and sales. Had these promos not been in place, SpiceJet would have bled further – in the face of increasing symptoms of overcapacity, with no guarantee of sold inventory or high yields. What Tony must remember is that SpiceJet did not have the luxury of being run entirely by industry professionals throughout its existence. AirAsia has had that, and has carried no dirty laundry. SpiceJet’s performance today is awesome-for those who really know the figures-but appear terrible only because of the losses, penalties, interests, and other unwanted baggage from the past. All that Kaneswaran has done is to implement an AirAsia strategy in SpiceJet, tweaked to ensure its optimisation for SpiceJet specifically. This has resulted in industry-wide highest loads for the year, high RASK, and working capital even in the face of a cash crunch and a meager investment of INR 300 Cr by Maran. Team SpiceJet is keeping the ship afloat. It was perhaps poor research, poor understanding of SpiceJet’s strategy, or just a joke badly presented that drove Tony to be taken so seriously. Tony’s loose tongue lands everyone – including his airline – in trouble. For Tony to not understand SpiceJet is to not understand his own – Fares Kilpady (Vice President, Revenue Management at SpiceJet, and formerly at AirAsia X) and Kaneswaran, which is unfortunate. What Tony doesn’t realize is that every time he or his team make a statement that counters a previous statement by Mittu, it only puts the young CEO in bad light. Sanjiv came back with knee jerk reactions – unfortunately, even if his arguments were valid – which shows him being sucked into an unwanted word game he’s not cut out for. It’s proof that Sanjiv – a non resident Indian, with his family at London- is getting topicalised. The ‘foreigner’ jabs were uncalled for – Sanjiv is as much a foreigner in India, atleast as far as his career history shows. Mittu and Tony are a different breed, with a different mindset; but Sanjiv’s appeal as a classy COO may be waning. Meanwhile, the media & India will soon get used to Tony, and possibly not bother or read too much into each and every comment that he makes – which puts Mittu in bad light and leaves a bad after taste with the competition. For a country where the mainstream media is expected to sensationalise any and every news related to aviation, it comes as a surprise how the otherwise over-enthusiastic media has not been able to connect the dots in the recent developments at SpiceJet. In November 2013, SpiceJet “appointed” Sanjiv Kapoor as its Chief Operations Officer (COO). Sanjiv Kapoor held the position of Senior Director, Temasek Holdings for 1yr 8 months. Temasek Holdings, directly and indirectly through Singapore Airlines has a significant stake in Tiger Airways, which operates as Tigerair. Now, in February 2014, SpiceJet announced the “appointment” of Kaneswaran Avili as Chief Commercial Officer, effective April 1st 2014. Interestingly, the position he holds today is Director-Commercial at Tiger Airways, and has held that position since October 2012. Men with very, very impressive resumes are being “appointed” by SpiceJet, a sure sign of good times to come. Interestingly, men related to Tiger Airways, in the past and the present, are joining Spicejet, which seems less of an “appointment” and more of an insert. In simple language: Tiger Airways seems to be actively reforming the airline with its own people before it can invest in SpiceJet. The experience that the COO and the CCO bring seem to be complimentary: Sanjiv Kapoor has had experience only with full service, legacy carriers. That is great from the operational perspective. Although successful low cost airlines have been known for streamlined operations, the experience Sanjiv gained at leading airlines can help transform the way in which the SpiceJet brand is viewed today. Dirty seats, dirty airplanes, and unhappy services are on their way out. Kaneswaran, on the other hand comes with a solid experience of 12 years not the “airline” industry, but the low cost airline Industry. He was part of the start up team of AirAsia in 2001, played a pivotal role in Air Asia’s expansion into neighbouring countries. He’s been associated with famous low cost brands: Air Asia, and Garuda Indonesia Citilink. Importantly, he was engaged by Viva Macau, Macau first LCC start up, where he was tasked with the responsibility for re-engineering the commercial unit and implementation of new commercial and network strategies to return the airline to route profitability. Recently, Kanesh completed a short but intense commercial transformation project for Citilink Indonesia. These responsibilities and experience are what SpiceJet can do with. Sanjiv’s full service experience in operations and Kaneswaran’s rich low cost experience can, if well leveraged, make SpiceJet the preferred low cost airline: based on fares, and on service. Something that IndiGo is already known for. “His deep domain knowledge on airline commercial across sales & distribution, revenue management, marketing, network planning, airline system and market penetration strategy would be key in transforming SpiceJet commercial capability and improving overall route and airline profitability,” said Mr. Sanjiv Kapoor, Chief Operating Officer, SpiceJet Ltd.
And now we have on board the airline the very man who was part of the start up team of AirAsia. The Bain & Co report, which will be used by SpiceJet to restructure the airline, isn’t yet out. But it doesn’t take a consulting firm to look at the obvious. On 16th January, 2014, SpiceJet announced the filing of its 2014 Summer flight schedule with the DGCA, for approval. The summer schedule starts from March end, and runs till October end. The new schedule drops more routes than it adds, a sign of the airline restructuring in blossom. On the international front, the airline will add Hong Kong and Dhaka, as destinations. SpiceJet will be discontinuing its Pune-Bangkok, Varanasi-Sharjah, and Delhi-Guangzhou flights. Sharjah will continue to be served from Pune and Lucknow, and Bangkok from Bangalore. Guangzhou will be served from Kolkata, along with Hong Kong. Few persons close to the airline operations told The Flying Engineer that loads on the Bangkok-Pune flights were very dismal, once recording as low as 4 passengers flying on a 189 seat Boeing 737-800. Domestic destinations that will be done away with are: Pondicherry, Trichy, and Allahabad. According to the airline, the revised schedule will ensure optimal utilization of the airline’s fleet. To further increase focus on its customers who opt for SpiceMAX, SpiceJet will be reconfiguring its Boeing 737 aircraft to offer 5 rows of seats with enhanced legroom and value added services. The Corporate Frequent Flyer program, to woo business travelers, was introduced late 2013. This focus on Business class seems to stem from Sanjiv Kapoor, who has not been involved with a low cost airline before. Spicejet: What it did, what it must do, and the Tiger it may very well get into. This piece has 3 parts: the first entirely factual, the second, Spicejet’s offer and what it should do to make itself more appealing (based on actual feedback), and the third: a focus on Spicejet, its COO, and its investor: is a part factual and part well informed yet speculative section. The Big Sale left no great Tale. In the 3 months of February, March and April 2012, Spicejet had flown 838,911 empty seats that made up 25% of the airline’s average seat capacity in that 3 month period. Based on the airline’s past performance and future growth projections, 25% in that 3 month period, in 2013, was to have translated to 987,644 seats. Make that 1,000,000 (10 lakh) for the arithmophobic. That’s the exact number of tickets that were on sale, mid January, for an all inclusive fare of INR 2013, during the airline’s Big Sale offer, valid for travel during February, March and April, 2013. The numbers made sense; everyone was convinced, and the figures added up to a promise. The load factors were expected to lean towards 100%, by roping in travellers who otherwise would have preferred the Indian Railways. It should have made perfect sense. But it didn’t. In that 3 month period, the airline flew 900,733 empty seats, 7% more empty seats than those in the same period, in 2012. Capacity had grown 17%, demand grew 20%, but the average load factor had grown a dismal 2.8% to 77.3%. But did it have the effect of siphoning off passengers from other players, including its biggest, true low cost competitor, IndiGo? In the same period, Feb-April 2013, IndiGo’s capacity grew 24%, demand grew 27%, and load factors increased, eerily, by the exact same amount as Spicejet’s: 2.8%, to 82.7%. And yes, both airlines flew 900,000 empty seats each in that 3 month period. Focusing on the consistent, business traveller. It’s that time of the year, again, and Spicejet has a new offer: the Spicejet Corporate Flyer Offer, which offers to corporate companies 1 free one way ticket for every 6 completed one way journeys and 2 free one way tickets for every 10 completed one way journeys, with applicable T&C. This year, until probably any other offer is introduced, the airline has shifted focus from the Aam Aadmi, and focused on Corporates. Will it pay off? Maybe. But unlike targeting the rail-going population, the corporate traveller needs something more: good service. And from what we’ve been hearing, including from a top management guy from one of the world’s largest manufacturers of computers, with a strong India presence, the service needs a makeover. Agreed, India is a price sensitive market, but it’s not always the fares and offers that attracts a passenger: promise must be met with delivery. Because everyone remembers the bad and not the good. And an airline wouldn’t want to risk that, if one of its passengers is a decision maker at a big, big company. This small, yet deepened focus on the corporate traveller may be one of the changes brought about by the Sanjiv Kapoor guided airline. Sanjiv Kapoor, interestingly, was employed by Bain & Co for over 5 years, the last position that of a Principle. His profile spanned strategy, turn around, alliances, network planning, revenue enhancement, procurement, post-merger integration, and customer experience transformation. His absorption into the company is very interesting. Customer Experience can do way, way better in the airline, and hopefully, he’s here to deliver. Alliances: he’s already entered Spicejet into an interline agreement with Tigerair. And the most interesting part is here: procurement, and post-merger integration. Very surprisingly, Sanjiv appointed consulting Bain and Co. to restructure the airline’s network and return it to profitability. Sanjiv also held the position of Senior Director, Temasek Holdings for 1yr 8 months. Temasek Holdings, directly and indirectly through Singapore Airlines has a significant stake in Tiger Airways, which operates as Tigerair. Some wonder if Spicejet hired Sanjiv, or Tigerair placed Sanjiv in Spicejet. The quarterly loss of Spicejet is eerily similar to that of Indonesian carrier Mandala Airlines, which was grounded in 2011, for a year, following debt related issues. The airline took to the skies again, reborn as Tigerair Mandala. The winds point to Tigerair investing in the Indian low cost airline. The winds are strong and steady, and the dawn of 2014 will show us the airline and its investor, striped or not.